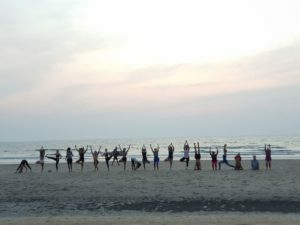 Read more about 300 & 500hrs Ashtanga Yoga Teachers Training(TTC) in Goa. It is our essential goal to endorse a profound feeling of self, prosperity, enablement, and edification to all students through the epitome of our core values. 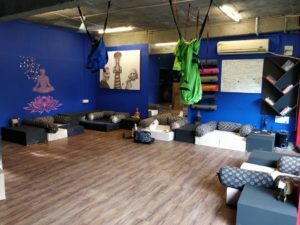 Asan Yoga is a registered yoga school, and is also a registered 200, 300 and 500 Hour Yoga School, and continuing education provider with the International Yoga Alliance. Our group comprises of experienced facilitators hailing from a large number of various foundations, both in individual and instructive experience. 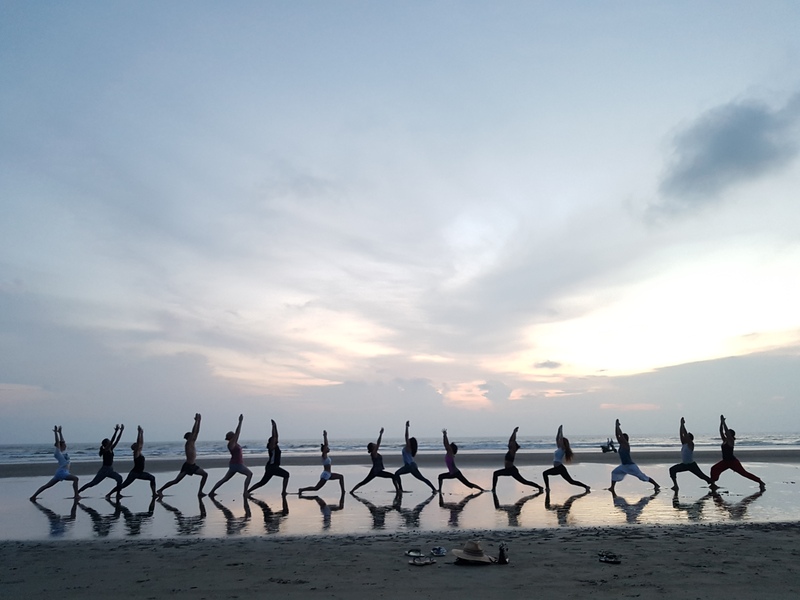 Why you should join Asan Yoga School? 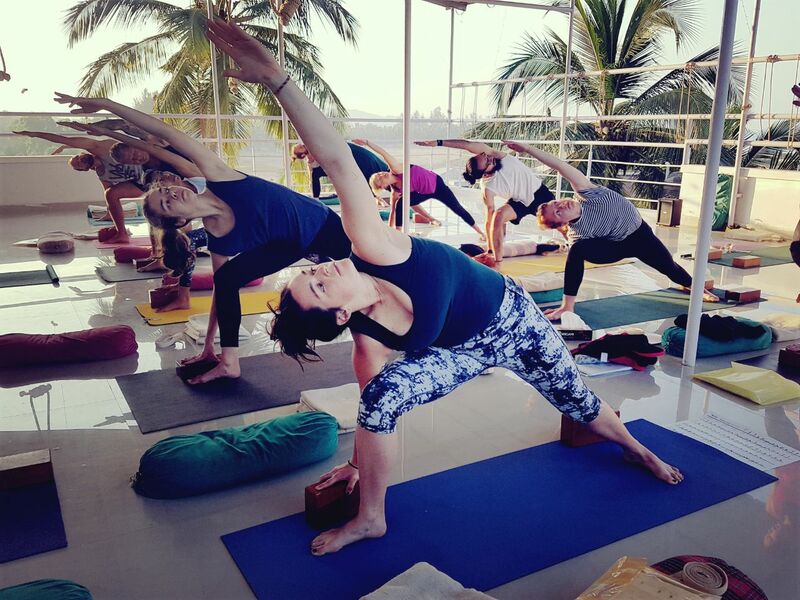 Asan Yoga gives a unique combination of Ashtanga Vinyasa Yoga Mysore style with a great precision and alignment of Iyengar Yoga. 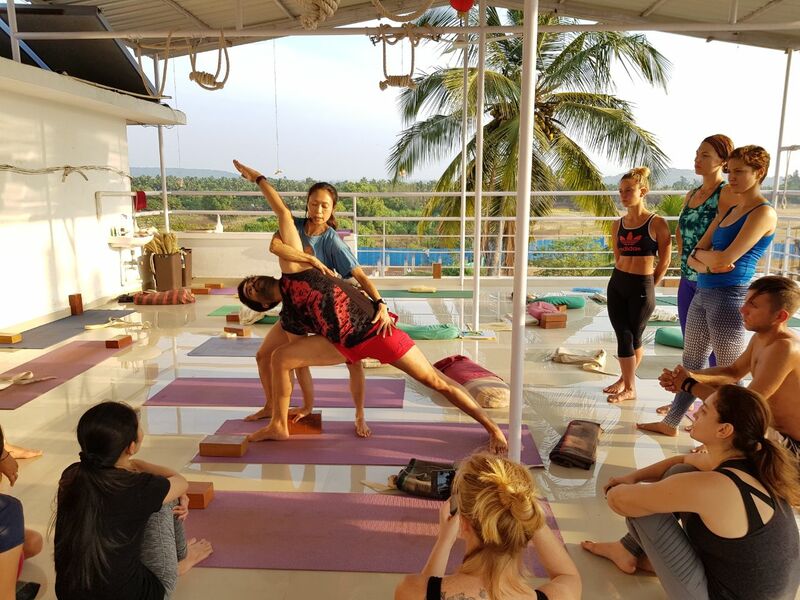 Apart from Ashtanga and Iyengar Yoga we have also included Hatha Vinyasa Flow, Restorative, Yin Yoga and introduction to therapeutic approach of Yoga in our curriculum of Yoga Teacher Training courses in India. This creates a foundation of multi-style Yoga Teacher Training india which provides a holistic knowledge of different yoga traditions. 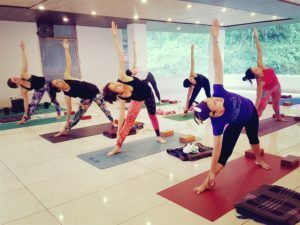 On the successful completion of 200 hr or 300 hr YTTC our students are able to adjust their teaching according to the level of their yoga clients, because of their training and knowledge in different styles of yoga. The vision is hidden in the name of Asan Yoga itself. The word Asan has two meanings; it means easy and it also means posture. Ashtanga Yoga has 8 limbs. Asan is the 3rd limb of Ashtanga Yoga which means ‘posture’. Patanjali describes Asan, posture in his book called Yoga Sutra, ‘That which is comfortable and steady is Asan’. Sanskrit aphorism says, ‘Sthiram Sukham Asanam’. Asan Yoga provides the opportunity to practice this vision for all Yoga practitioners and teachers. They can make their practice so easy with the use of Yoga Props and right guidance that they find steadiness and comfort in their physical postures and mental well-being. The vision of our school merges well with yoga for all irrespective of whether the person is young, old, sick, injured or having some physical limitations. Even though the Mysore style of Ashtanga Yoga is physically challenging, the strong base of Iyengar yoga helps the practitioner to modify the poses with the correct use of props according to their physical limitations. The two disciples of T. Krishnamacharya became famous in today’s era named K. Pattabhi Jois and B.K.S. Iyengar. Pattabhi Jois kept the tradition as it was absorbed from his guru after devoting many years whereas B.K.S Iyengar took the same practice to a different level with the use of props, focus on alignment, injury free yoga and made yoga available to all. Asan yoga combined the Ashtanga Vinyasa sequence of Mysore style with Iyengar yoga which is a development of appropriate use of props for the alignment of a posture. This unique combination is beneficial to all and allows one to practice injury free yoga. Giving gratitude to both the Masters, Asan Yoga has aimed to create harmony in your practice. 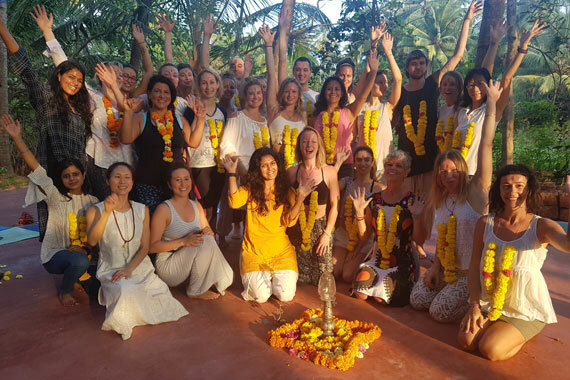 Asan Yoga school is registered with Yoga Alliance UK which gives a higher credibility to our Yoga Teacher Training Course in India. On the successful completion of Yoga TTC students can choose to register with Yoga Alliance UK. Our teachers are RYT 200/ 500 (Registered Yoga Teacher) from Yoga Alliance UK. They are highly skilled in their specific subjects. They possess a holistic knowledge of all the branches of Yoga and have expertise in all the subjects of yoga from theoretical knowledge to the practical experience. Asan Yoga School has two locations in India: Goa, Dharamshala (Himalayas). 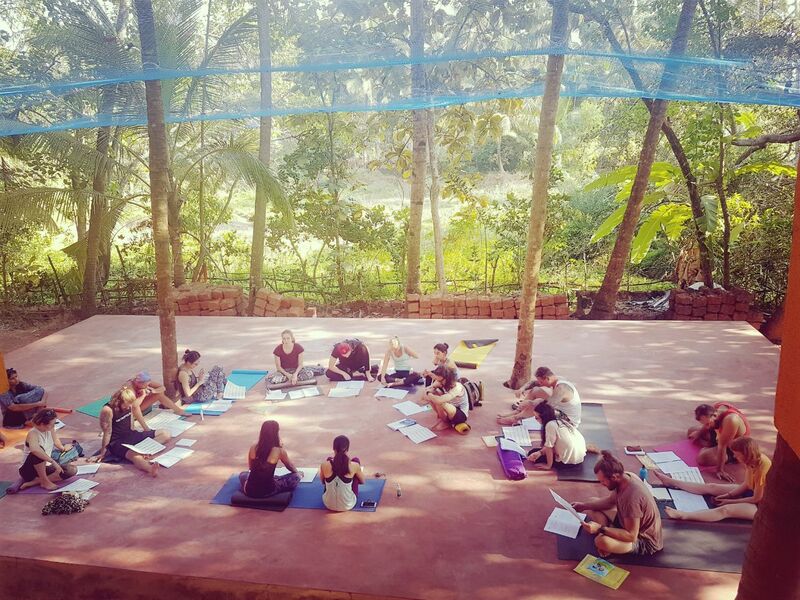 Whether it is a coastal region of Goa, mountains of Himalayas, our students experience a life changing transformation at the completion of the course. What makes us unique in our field? 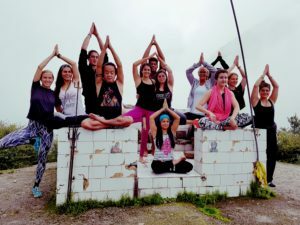 Asan Yoga is a unique approach to Yoga Teacher Training. Our goal is to make Yoga easy and available to all, so that people from all fields of society and all physical fitness level can join a month long training and benefit in such a way that they can enjoy to share it with other people. We focus on creating joy and deep passion for teaching Yoga. They will experience a life transforming force during the training in a very easy and comfortable way. It also means that Yoga students can achieve advance poses or extract the benefits of them very easily with the help of Yoga Props. We also focus on teaching Yoga in modern way. That is, we introduce the history and tradition of Yoga to our students but in a very modern and practical way so that they can apply it to their daily living and create a great career in the western world. We teach Yoga philosophy in the context of day-to-day living combined with applied anatomy and physiology. Which makes understanding of Yoga postures very accessible and brings about the methods of developing mindfulness in our practice of physical aspects of yoga. Asan Yoga School emphasises the practice of ‘Ashtanga Yoga’ or the eight limbs of Yoga throughout the course. Practicing Yamas and Niyamas, the moral code of conduct, penetrating physical layer through Asan, posture practice, cosmic layer through Pranayama, breath awareness practice and mental layer through the practice of Pratyahara, passive awareness the students understand the significance of Dhyana, meditation Dharana, the power of concentration and Samadhi, enlightenment at the end of the course.